Barleyhops came about back in 2011 when a couple from Macclesfield had the idea of wanting to be able to provide local ales produced by micro-brewery to the real-ale drinkers of the UK. After many months of planning the idea became a reality when the online shop became active. At first it started out as providing the ales to the local area and then eventually during July 2012 we then were on our way to providing a courier service to the rest of the UK. The local community quickly became involved and the support was outstanding – we didn’t know the extent in which our small hobby would take off! In June 2013, we attended the Congleton Food and Drink Festival as a trade stall. We had never done anything like it and was impressed by the quality of the event! We were so impressed that we decided to plan to open up our own little shop in the area of Congleton. The next step was the search for the perfect spot for our little adventure – and after a few months of searching all over Congleton, we did! In October 2013 we came across a place that seemed to be perfect -Swan Bank. I remember the looks of on-goers and passers by looking inside to see what was opening up, the curiosity and hindsight about that once was here. 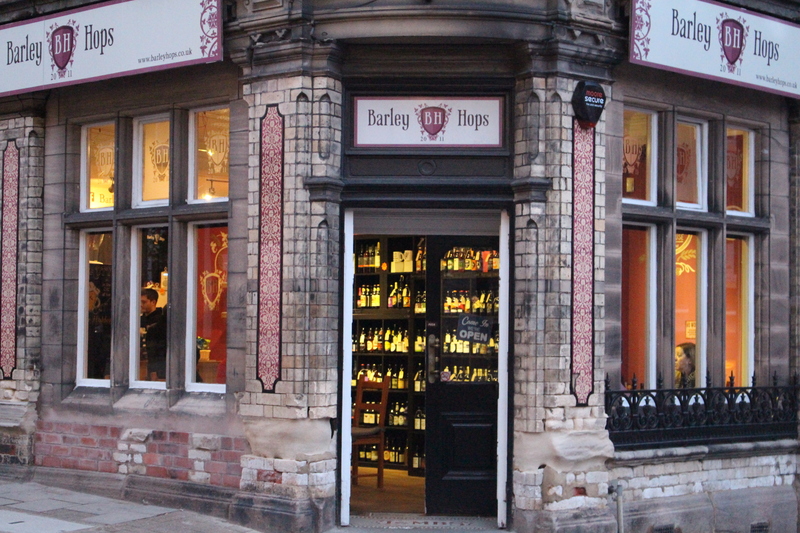 As the place quickly came to together in was time to unleash Barleyhops Beer Cafe to the residences of Congleton on November 14 2013. Throughout the Christmas period it was clear that our presence in the town center was becoming more prominent as we develop local’s and a name for ourselves. Many of our customers were amazed at the selection of beers we had to offer with over 300 to local ales. One customer commented that “I have never seen anything like it – it is just what Congleton needed!”. During the colder months, we maintained the online business until it successfully ended in January 2014. It was clear to us that the shop is what we wanted to be doing and happy that the shop has made so much progress since 2011. At Barleyhops we try to maintain the local vibe and strive to support local businesses around us. We’re not trying to re invent the wheel so to speak, we love and are passionate about real ale; beer with flavour, depth and made the right way by brewers with vision. Barleyhops has not only become an enjoyable business venture for us but has also become a big part of our family. Love the concept. We are a micro from Retford, North Nott’s. I was going to try and pop on this afternoon with a few samples to see if we can interest you in our ales. Our The Leveller has just got Bronze Award in the Stokhlom Bottled Beer Catagory. This is a 4.8% “Trappist” type dark ale.